Two studies conducted by CONICET researchers at Fundación Instituto Leloir were published in the same edition of one the most prestigious scientific journals in the world. Left: Schinder's research team . 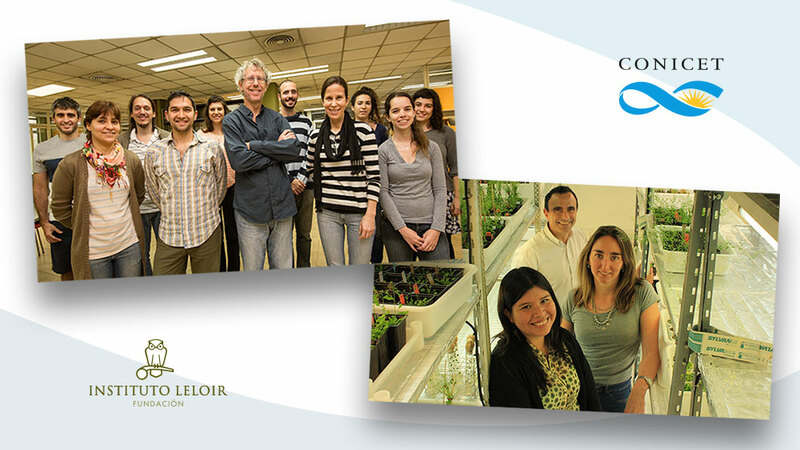 Right: Casal's research team. Photo: CONICET Photography. For the first time, two original articles on Argentine studies have been published simultaneously in Science, one of the most prestigious journals devoted to scientific publications since 1880. The studies were undertaken by researchers of the National Scientific and Technical Research Council (CONICET) who work at the laboratories of the Fundación Instituto Leloir (FIL). One of the studies, led by Alejandro Schinder, CONICET principal researcher at the Instituto de Investigaciones Bioquímicas de Buenos Aires (IIBBA, CONICET, Fundación Instituto Leloir), and head of the Neuronal Plasticity Laboratory, revealed the mechanism by which new neurons generated by the brain “are turned on” with hippocampus circuits that are involved in the learning process. The integration is mediated by a particular type of association neurons, the “GABAergic interneurons”, and it is facilitated by a stimulating environment. In the future, this development can be used in medicine. “As there are mechanisms that incorporate neurons into the neural networks of the brain, Alzheimer’s disease and other neurodegenerative diseases are phenomena in which neurons die and disconnect. In this context, scientists would design strategies so as to help circuits neurons, or at least, to reduce the speed in which they disconnect”, Schinder indicates. The second study was led by Jorge Casal -CONICET senior researcher, deputy director of the Agricultural Plant Physiology and Ecology Research Institute (IFEVA, CONICET-UBA), and head of Molecular Plant Physiology Laboratory of Fundación Instituto Leloir. Through this study, the researchers managed to identify for the first time that a well-known photoreceptor (phytocrome B) also works as a temperature sensor, enhancing the accuracy of the environmental condition’s information the plant receives and influencing its development and growth. This find would impact on agricultural productivity. “Through the intervention of the molecular mechanisms that regulate temperature sensor, it would be possible to design tools to adjust certain crops to unusual temperatures for them”, Casal affirms. In the last two decades, a number of 72 original studies on life sciences signed by Argentine researchers have been published in Science.